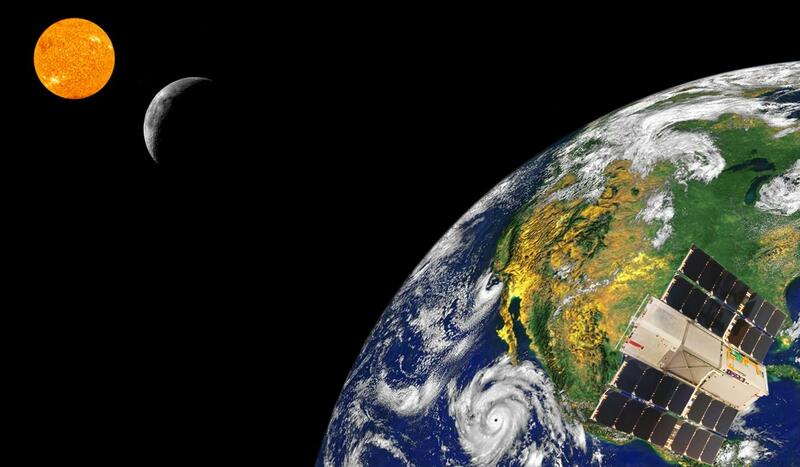 September 27, 2017 – While people across the nation gazed at August’s total solar eclipse from Earth, a bread loaf-sized NASA satellite operated by Blue Canyon Technologies had a front row seat for the astronomical event. The Radiometer Assessment using Vertically Aligned Nanotubes, or RAVAN, CubeSat was developed to test and validate light-absorbing carbon nanotubes as a new method for measuring Earth’s radiation imbalance, which is the difference between the amount of energy from the sun that reaches Earth and the amount that is reflected and emitted back into space. The measurement is key for predicting changes in the planet’s climate. RAVAN began collecting data from Earth’s orbit on January 25, 2017, and the technology demonstration was declared a success in early August. But the solar eclipse on August 21 gave researchers a unique opportunity to further test an important carbon nanotube attribute: its strong sensitivity to rapidly changing energy outputs. While designed to measure the amount of reflected solar and thermal energy emitted from Earth into space, during the eclipse RAVAN’s highly sensitive nanotubes would be trained instead on the sun to detect changes in the amount of incoming solar energy. Because the researchers knew the CubeSat’s location and the percentage of eclipse it would measure, it was easy for the team to compare the satellite’s data to the known solar irradiance. Due to RAVAN’s position in orbit, it did not catch eclipse totality — where the moon completely blocks the sun’s light. Instead, from its position high above the U.S., RAVAN was to collect data of an approximately 80 percent eclipse, similar as to what was observed from principal investigator Bill Swartz’s home organization, the Johns Hopkins Applied Physics Laboratory in Laurel, Maryland, which leads the mission. Now, with eclipse-tested technology, RAVAN is trained back at Earth as Swartz and his team continue to monitor the satellite’s instrument performance, perform data analysis, and compare its measurements with existing model simulations of Earth’s outgoing radiation. RAVAN’s current test and validation mission is the first step to enable a future constellation of CubeSats that would orbit Earth and provide continuous global coverage of Earth’s radiation imbalance to improve on current measurements, which are taken by instruments housed on a few large satellites. RAVAN was funded through a NASA Earth Science Technology Office (ESTO) program that demonstrates new technologies that, when validated, could be applied to a broad range of NASA Earth observation and science measurement needs. During their mission lifetimes, CubeSats like RAVAN are put through their paces to ascertain how well the new technologies and methodologies work in orbit. RAVAN is being led by the Johns Hopkins University Applied Physics Laboratory. Blue Canyon Technologies manufactured the spacecraft bus and spearheads the operations out of its advanced Mission Operations Center located in Boulder, Colorado.